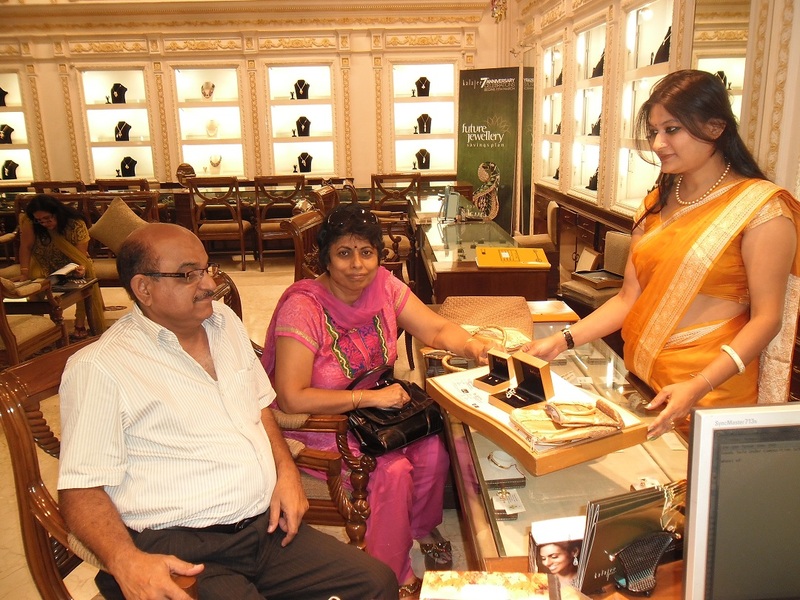 The happiness continues to shower at Kalajee Jewellery, Jaipur!! 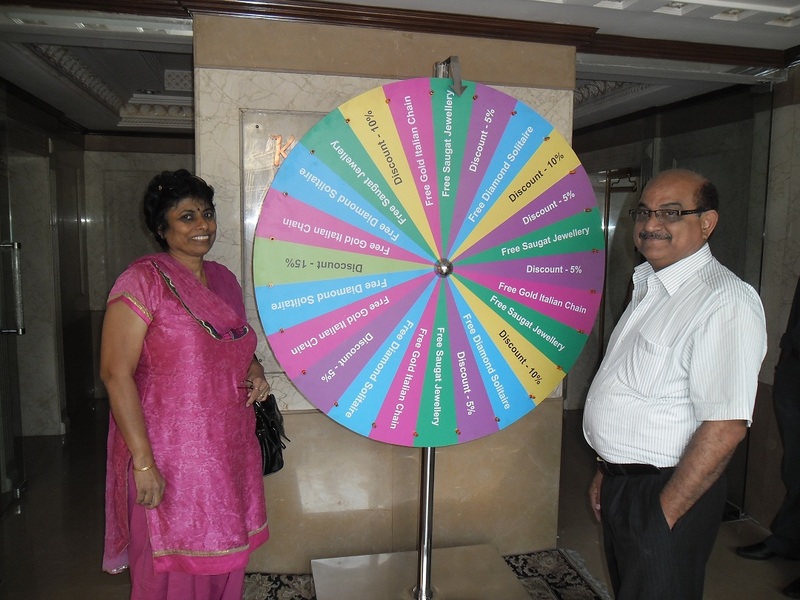 This Couple won the pair of diamond earrings worth Rs. 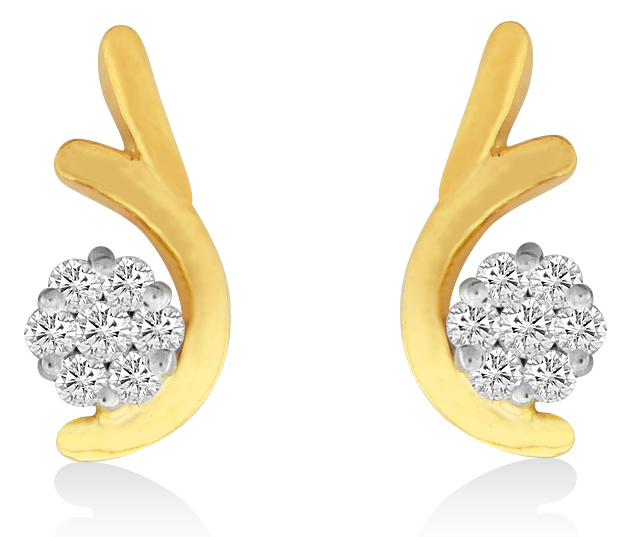 8000 from Kalajee Jewellery, Jaipur‘s Saugat Collection by spinning the Wheel of Fortune!! You may be the next, Wait no more, spin and win some Happiness for sure! Kalajee Jewellery Jaipur wishes you all a very happy and auspicious Navratri Sthapna!! This Navratri Kalajee jewellery Jaipur brings you the Wheel of Fortune that could win you the exciting surprises that you may have wished to purchase this season. All you need to do is, just come to the Kalajee Jewellery at K- Tower, Mahaveer Marg, Jaipur and shop for the jewellery and win goodies on your shopping!! 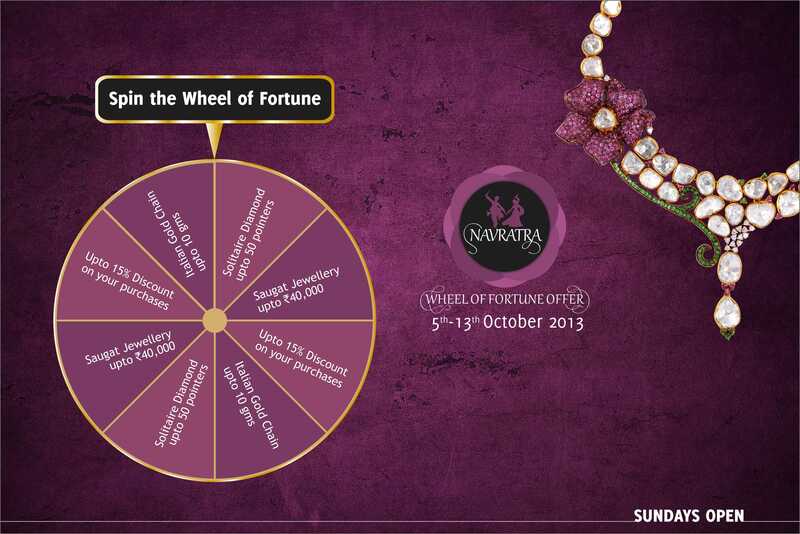 The “Wheel of Fortune” at Kalajee Jewellery Store is going to make your Navratri Celebration more exciting…. What would you wish from the Wheel of Fortune? ?